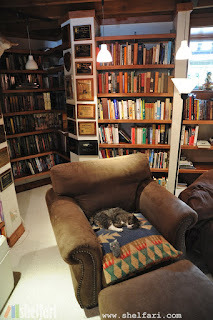 Ted Mahsun: Neil Gaiman's Personal Library. Neil Gaiman's personal library is like... well... it's like a library. A really nice and cosy library. and it has the obligatory cat guarding it! Haha! Yeah, I thought that was neat as well!